10 out of 10 Dogs Love Real Food and now you can treat your dog to truly nourishing homemade food. With Wellbeing Essentials, you can take the guesswork out of making homemade food balanced and nutritious. 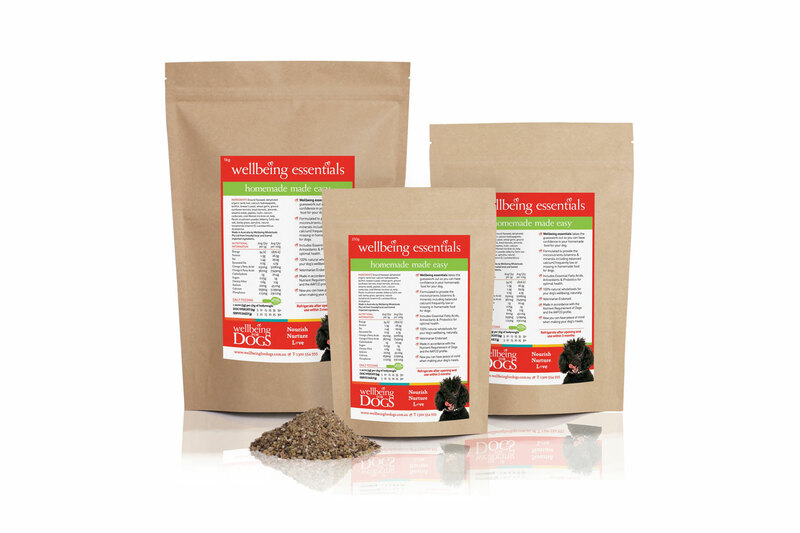 The magic power and benefit of Wellbeing Essentials is to provide the necessary vitamins, minerals, essential fatty acids, micronutrients that are frequently missing in homemade food for dogs. Made from 20+ delicious and natural fresh whole foods and super foods, just mix 1 tsp into your dog’s food to nourish your dog. PETS magazine has 10x 250g bags of Wellbeing Essentials to win, each with the free 36-page booklet ‘The Real Food Revolution for DOGS – Homemade made easy. For your chance to win, tell your dog’s favourite food!